THE WRITING BUDDHA - Opinions | Books | Movies: Akshay Chitre: "Feminine mind is very interesting and straightforward" (Interview)!!! Akshay Chitre: "Feminine mind is very interesting and straightforward" (Interview)!!! 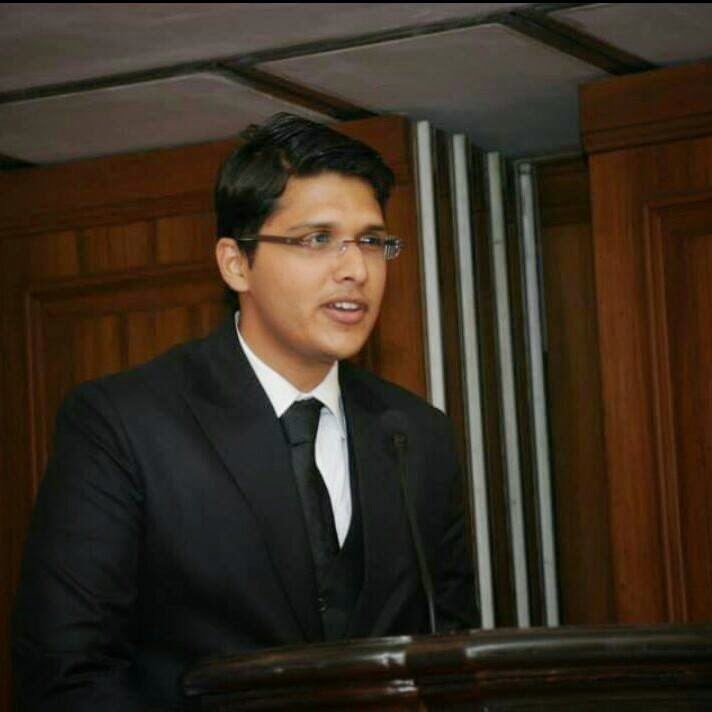 Akshay Chitre is one of the dynamic personalities who have achieved tremendous success at a very young age of 25. He is already running a successful restaurant in Mumbai city along with it, he has also managed to write a story that is earning everyone's appreciation. Let us know how he manages to be a multi-tasker. Hello Akshay! How has been your life since release of your debut novel? Firstly I would thank you for considering me worthy enough to be on your portal with so many successful authors. I feel delighted and humble to be a part of this creative community, hope they welcome me with open arms and warm hearts. Life has definitely changed, people's perspective towards me has changed too and I am getting considerable good amount of affection & respect from family & friends as I tried to do something that no one in my close circle has done. What changes are you experiencing in society’s approach towards you? Did you always want to write a book since school or a thought suddenly took over your mind and the book happened? The thought of writing never occurred to me honestly, after seeing my friends and myself go through a series of unsuccessful relationships. We used to swear off women (though admittedly, temporarily) and laugh them off stating they are complicated and they don’t know what they want in life, or from their relationships. Even if it would have been the fault of the man in the relationship, we passed on the blame to women, conveniently stating that they are really difficult to communicate with but are they really THAT difficult to communicate with? After hearing the constant chiding, a thought came into my mind. If I had been a women would I have behaved differently, would I be as carefree and boyish as I am now? I don’t think so. I could not let go of this thought. So, I then programmed my brain to start thinking like a woman to get inside their psyche. I started behaving differently in my mind, making me realize that what a woman wants is totally different from what men think she wants. There is so much social pressure on her that it makes her get drawn towards stuff that she is supposed to want and not what she really wants. As men, we feel women are obsessed with money, hanging out with the rich guys, chasing social positions, obsessed with keeping up appearances but thinking like a woman, it made me realize all this was an illusion. This is not what they truly want but it is what they are supposed to want and due to the pressure of getting what they are supposed to want, they try frantically to reach out for it. Thus the thought of writing occurred and I made it into reality. Tell us something about your first book- URBAN LOVE? Urban Love is a woman centric book with three female protagonist having radically different perspective on life and relationships. 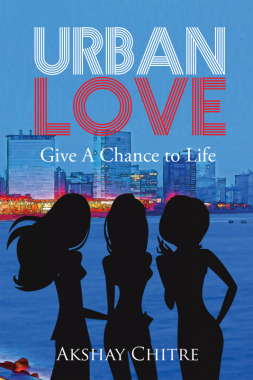 It's an interesting take through the minds of women in Urban Cities as they are on the lookout for love. How hard was it to write in a girl’s voice and along with it, explaining the personal trauma of other two girls also? Personally writing as a female protagonist I felt the ideas of cross thinking might actually change society making me write through the heart of women very easily, feminine mind is very interesting and straightforward, it's the society outlook on females that makes them behave in a complex manner. Do you think people not from urban and metro cities will accept your book as it’s purely based in a city like Mumbai which has quite a modern approach as also visible in your book? Mumbai has always lead the nation, people want to know what's happening in Mumbai, though this book has a modern outlook on love and relationships which is evident in metros, I don't see anything wrong with the smaller tier cities will object to it, in fact I feel it's very liberating and a delightful read for all, they take away for smaller tier cities would definitely be that world is changing and thus be yourself and don't ever doubt your ability, we make the society, it should not make us, thus a good reads for all of us which the youth can relate easily. How has been your experience with Notion Press till now? Notion Press is being very kind with me, nourting and supporting me all throughout. How easy or hard it is for you to run a restaurant and also write books at this young age of 25? To be honest, restaurants has long working hours, it's very tedious & monotonous business, I wrote the entire first draft of story on my mobile phone at restaurant, it was not easy but I was adamant to complete the book and present my thoughts vis a story to the Indian audience. What is the next story you are working upon? Till now no thought has come to me but definitely I would love to write another story, just waiting for a good though. Any words for your fans who have picked Urban Love and played a part in your success? I would love to thank all those you picked up a copy of the book and found it worthwhile to spend their money and time on a new author, thanks for your support and I wish they spread the word about Urban Love to their friends and family.